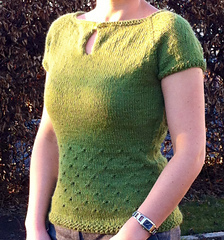 The yarn weight has been corrected since I published my pattern from Aran weight to DK-weight! 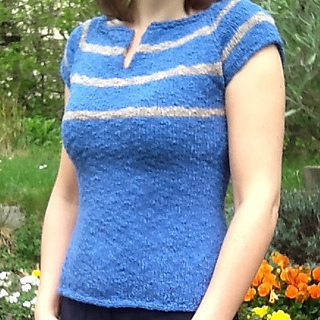 The information of meter/50 g is more helpful, I think, but please keep in mind that every knitter is unique and it depends on wether you´re a loose or tight knitter :)! 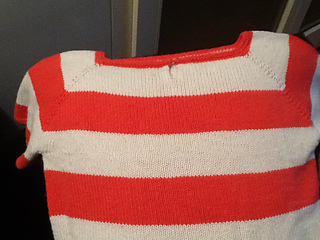 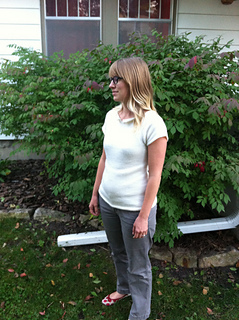 This sweater is knit topdown in stockinette stich, pockets are worked in contrast colour in reverse stockinette stitch! 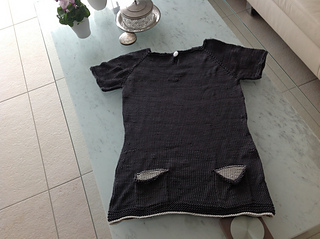 I designed this not for the really hot days, because in the area, where I live, there are many, many rainy days in the summer….. and for these it´s perfect!